built by Frazier Yard, Mevagissey in 1955 for local fisherman John Hocking. 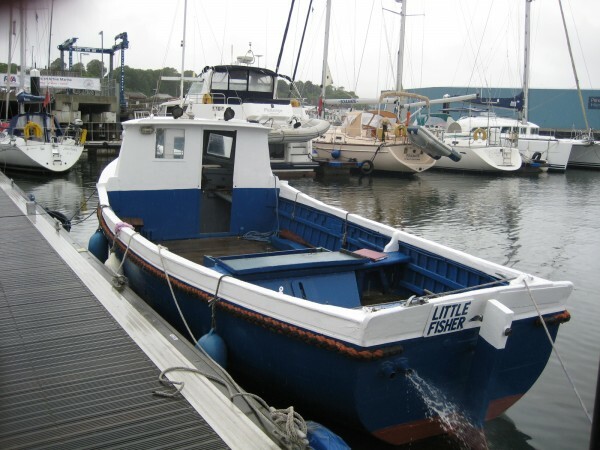 One of the most successful small fishing boats to have ever worked our coast, she was designed as mackerel/pilchard driver and fished with handlines. Hocking retired at the age of 81, selling the boat and her licence to another Mevagissey local who never used the boat as intended and laid up ashore. Traditional straight stem with transom hung rudder and a sweet sheer line. Extra thick sheerstrake, picked out in white, rising several inches to the raised foredeck. Large diameter rope rubbing band around the boat at the sheerstrake level. Large foredeck with substantial mooring cleat. Wooden wheelhouse with opening side windows. Hand rails on the wheelhouse roof, small light mast with stainless steel wire stays. Large deep open working deck with pine sole boards. Centre thwart over the engine box. Small thwart at the aft end over the fuel tank. Planked in larch and yellow pine, copper fastened to 1”x 1 ¾” steamed oak timbers at 7” centres. Heavy gunnel with a beamshelf below. Oak floors. Small mizzen gaff sail used when fishing, currently off the boat but able to be fitted if required. Lister 3 cyl main engine on the centre line with stainless steel shaft to 3 blade bronze propeller. Lister 2 cyl auxiliary wing engine, hand start. A lot of fishing boats had an auxiliary because they were at sea for long hours in all weathers so needed the back up of a second engine in case of mechanical failure. This wing engine is in need of attention because it has had so little use over the years. Sheltered steering position in the wheelhouse with spoked wooden wheel. Tiller steering with single lever controls at the aft end. 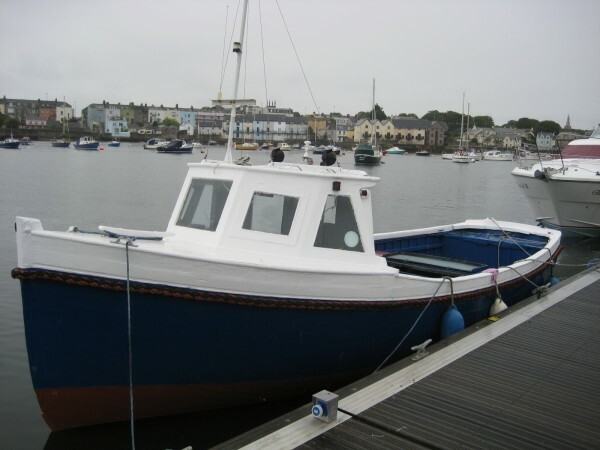 This is a very seaworthy boat that has proved itself time and time again throughout her working life. Although in need of some attention, she is ready to steam away, makes no water and could be used as she is, making a great family day boat or she could even be coded as a commercial passenger/tripper boat.